Springtime is one of my favorite times to be out and about in Greater Cincinnati. Not only are there a ton of fun things going on all over town, including many FREE activities, but it’s also just a beautiful season in our community! We are lucky to live in an area that is full of so many fabulous parks and green spaces. And with the addition of Red Bikes on both sides of the river now you can explore the area on two wheels! So use this list, find some fun and get outside and explore the community around you this April! International Butterfly Show at the Krohn Conservatory: Butterflies of the Caribbean ~ March 26 – June 19, 2016 Open Daily 10:00am – 5:00pm $7 adults • $4 children • 4 & under are FREE! $12 Unlimited Admission Pins It’s a real treat for the family every year! Visit the Butterfly Show website to find a $1 off coupon. Farmer’s Markets: With the warmer weather it’s the perfect time to visit a local Farmer’s Market! We have a HUGE list of local Farmer’s Markets you can check out: Farmer’s Markets in Cincinnati & NKY ~ cook fresh, cook local! Where the Wild Things Play at Washington Park on Sundays from 1:00 – 3:00 pm. Let your little one get creative with a Cincinnati themed craft – there’s a different theme each week! Shrek The Musical JR. April 8, 9, 10, 16 & 17, 2016 The Children’s Theatre of Cincinnati at The Taft Theatre Tickets start at $7 In a faraway kingdom, the green ogre Shrek finds his swamp invaded by banished fairytale misfits, runaways who’ve been cast off by Lord Farquaad, a tiny terror with big ambitions. When Shrek sets off with a wise-cracking donkey to confront Farquaad, he’s handed a task – if he rescues feisty Princess Fiona from the Dragon-guarded tower, his swamp will be returned to him. But, a fairy tale wouldn’t be complete without unexpected twists and turns along the way. The Art of the Brick at the Cincinnati Museum Center is the world’s largest display of LEGO® art. This captivating exhibition features artwork made exclusively from one of the most recognizable toys in the world, the LEGO brick. The critically acclaimed collection of creative and inspiring pieces constructed using only LEGO bricks is created by renowned contemporary artist Nathan Sawaya. Designed to inspire ingenuity and creativity,The Art of the Brick is the world’s largest and most elaborate display of LEGO art featuring more than 100 works of art. The collection features Sawaya’s original pieces, as well as reimagined versions of some of the world’s most famous art masterpieces such as Van Gogh’s Starry Night and Da Vinci’s Mona Lisa. The exhibit concludes with a spectacular and innovative multimedia collection of LEGO brick-infused, hyper-realistic photography produced in collaboration with award-winning photographer Dean West. Visitors will have the opportunity to get an up-close view of the iconic, pop culture fan favorite Yellow, a life-size sculpture of a man ripping his chest open with thousands of yellow LEGO bricks cascading from the cavity. In addition, visitors will come face-to-face with a 20-foot long T-Rex dinosaur skeleton made out of bricks. National Parks Adventure at the OMNIMAX Theater ~ The latest OMNIMAX adventure film is a must see for the whole family! It is absolutely breath-taking! “Take the ultimate off-trail adventure into the nation’s awe-inspiring great outdoors and untamed wilderness. Through our five-story, domed OMNIMAX screen, soar over red rock canyons, up craggy mountain peaks and into other-worldly realms found within America’s most legendary outdoor playgrounds.” Visit the Cincinnati Museum Center website for ticket and showtime information. 199c: A Spring Celebration 4/2/16 Pike Street and Madison 199C draws its name from the pantone color for the Reds. Join BLDG, Renaissance Covington and Folk School Coffee Parlour to celebrate Opening Day with art, beer and baseball! The show features 50+ local, regional and nationally based artists who will create artwork based on a curated Reds baseball card they receive from BLDG. The festivities continue outside on Pike Street, where our friends from Folk School Coffee Parlor have planned family-friendly entertainment including live music by Willie Tea Taylor and Honey & Houston, a celebrity podcast by Jerry Springer and Curve Ball Classic Homerun Derby. It wouldn’t be baseball if there wasn’t food and beer, so we partnered with Braxton Brewing Company local Covington restaurants and food trucks to satisfy event attendees after an evening of celebrating America’s favorite pastime. MOGA (Midwest Open Geocaching Adventure)~ March 31st through April 3rd One of the largest geocaching events in the United States. There are more than 30,000 geocaches hidden throughout the state of Ohio, including 1,800 within a 10 mile radius of Cincinnati! Visit the MOGA website to find out about all of the events going on around town. OperaCadabra! April 2, 2016 I 11:00 a.m., 1:30 p.m. & 7:00 p.m. Cincinnati Opera at the Aronoff Center’s Jarson-Kaplan Theater $10.00 Back by popular demand! Treat your family to OperaCadabra!, a fanciful fantasia of music, magic, and vaudeville, designed expressly for young people to provide an exciting introduction to the world of opera. OperaCadabra! reveals all the basic elements of opera in a spirited show that combines Vaudeville and clowning techniques with well-known opera excerpts and magical effects. Appealing to families and young people of all ages, this original production presents opera’s “greatest hits,” inviting exploration of the art form. YOUnique Wellness, an Expo! April 2, 2016; 12 – 4 pm Healthwell Enterprises Sharonville Community Center FREE This fun, family-friendly, and FREE event will feature more than 40 vendors exhibiting goods and services as well as workshops and presentations by local wellness practitioners for all ages. 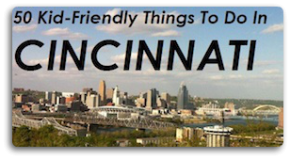 Cincinnati Reds Opening Day ~ head downtown to watch the Findlay Market Opening Day parade and stay for the festivities! There will be special events going on all around downtown, including a celebration at Washington Park. Relay for Health April 7th 3;30-4:30 Corryville Branch Public Library Free Celebrate World Health Day by playing games and participating in a relay race. Healthy snacks provided. Superhero Run for Kids Benefiting ProKids April 7, 2015 | 7:00 p.m. – Young Lawyers of the Cincinnati Bar Association prokids.org/superhero St. Xavier Catholic Church Downtown $35/person Grab your cape and gear up for the 2015 Superhero Run for Kids! The 19th annual event will be held at St. Xavier Church downtown on August 7th and will feature a host of family-friendly activities, including the popular kids run, face painting, refreshments and entertainment. This is a can’t-miss event in the heart of downtown Cincinnati, celebrating family and benefiting the mission of ProKids. Linton Music’s Peanut Butter & Jam Sessions April 9, 2016 (10am & 11:30am) Linton Music www.lintonmusic.org Heritage Presbyterian Church in Mason 6546 S. Mason-Montgomery Road, Mason, OH 45040 $5.00 per person or $15.00 for Flex-Book of 4 tickets good at any PB&J concert. Children under 2 are free! Madcap Music-Making: The Story of the Frog Prince – Our warm and fuzzy friends from Madcap Puppets help tell the story of The Frog Prince through the music of Brahms! Don’t miss the “ribbiting” music, storytelling, and fun! Peanut Butter & Jam Sessions brings families together for a musical encounter that provides a friendly, educational, and enjoyable introduction to classical music. Designed for ages two to six, these interactive concerts will touch, teach, and enrich your child’s life. 10am and 11:30am. $5.00 per person or $15.00 for Flex-Book of 4 tickets good at any PB&J concert. Children under 2 are free! Free Graeter’s cookies at every concert! Tickets available at the door, by calling 513.381.6868, or visit www.lintonmusic.org. Kids’ Cooking Class April 13, 2016 | 4:45-6pm Northside Farmers Market North Church, 4222 Hamilton Ave, Cincinnati, OH 45223 $3 Kids ages 7-11 can learn how to cook at the The Northside Farmers Market with local products. Classes are held at the market, 4222 Hamilton Ave, on Wednesdays from 4:45 pm – 6:00 pm. Each class costs just $3.00, and fee waivers are available. Buy tickets online, or avoid credit card fees by signing up at the market. Cirque Mechanics: Pedal Punk April 13, 2016, 7:30 p.m. Miami University Performing Arts Series Miami University, Millett Auditorium, Oxford Ohio $24 adult, $23 senior, $12 student/youth “Enter the most unlikely setting for a circus, a factory – where the workers are acrobats and the machines are circus props. A place where spectators will watch a contortionist perform on a turntable powered by unicyclists, they will be captivated by the trapeze artist flying high thanks to the spins of an acrobat inside a giant gear-like wheel and they will be stunned when the trampoline wall artists defy the laws of physics by virtually flying and walking on air. Finding its roots in mechanical wonder, American ingenuity, and a bit of clowning around, this new and refreshing take on the modern circus has quickly established itself as a premiere American performance! You’ve never seen a circus like this: a dazzling whirl of acrobats, cyclists, and one-of-a- kind machines. Founded in 2004 by daredevil cyclist, acrobat, and mechanical wiz Chris Lashua, the troupe the New York Times called “engrossingly entertaining” performs Pedal Punk, a captivating production with acrobats and funambulists dangling and twirling from a pedal-powered apparatus called the Gantry Bike. Flying unicycles and floating trapeze artists also appear in this post-apocalyptic world inspired by steampunk culture. Early Childhood Literacy Fair April 16, 10:30-1:30 Kenton County Public Library Covington Branch Library Free Families with preschoolers and younger are invited to enjoy activities from the Cincinnati Museum Center and Contemporary Art Center, balloon animals, a concert with Zak Morgan, free books (for the first 300 children), free developmental screenings for those 0-36 months and much more. Spring Arts and Crafts Show 4-16-16 Anderson Senior Center 7970 Beechmont Ave Spring can be a very busy time of year. Birthday parties, weddings, Easter, Mother’s Day, graduations etc. Are you ready? We have some great new products and ideas to share with you at our Spring Arts and Craft show. Crafters will have wreaths, baskets, flowers, handcrafted jewelry, doll clothes, handmade soaps and lotions, scarves, hats, purses, and much more! Vendors such as Thirty One, Jamberry, Avon, Magnolia and Vine,Trades of Hope, Tupperware Initials Inc. Clever Container, Tastefully Simple, Mary Kay, and many more! Adult Cooking Class April 20, 2016 | 5:30-7pm Northside Farmers Market at North Church, 4222 Hamilton Ave, Cincinnati, OH 45223 $10 Learn to cook with local farmers market products in our Adult Cooking Class taught by Dietitian Mary Pat McKee. Spots are limited to 8 participants to make sure you get individual attention and time to ask questions. Mary Pat makes up her recipes to reflect whatever is in season at the market. Her foods are wholesome, flavorful, and delicious! Family Festival: A Whale of a Tale April 23, 2016 Noon – 3:00pm Contemporary Arts Center 44 East 6th Street Cincinnati, Ohio 45202 FREE! Join us for a very special Family Festival filled with nautical art and storytelling. Come get inspired by our newest exhibition, Chasing the Whale. Design your own scrimshaw, make a sailor’s’ valentine and learn about the stories these unique works of art have told throughout the years. We’ll have some special guests stopping by from the Cincinnati Book Arts Society and Chase Public. It’s sure to be a “whaley” good time. Hamilton Spring Shopping Expo 04/23/2016 Butler Co. Fairgrounds Join us on this spring day for lots of shopping. Join dozens of vendors both inside and out, rain or shine. Whether your looking to purchase a homemade craft or network, seeking home improvement ideas or just grabbing a bite to eat and spending a day with the family, this is one event you don’t want to miss. 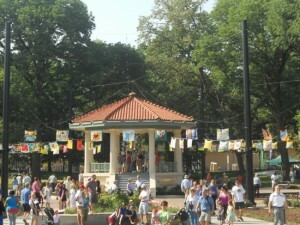 Earth Day Celebration at Washington Park ~ April 23rd from Noon until 7pm. Live music, food, activities for all ages and MORE! Linton Music’s Peanut Butter & Jam Sessions April 23, 2016 (10am & 11:30am) Linton Music www.lintonmusic.org Wyoming Fine Arts Center 322 Wyoming Avenue, Wyoming, OH 45215 $5.00 per person or $15.00 for Flex-Book of 4 tickets good at any PB&J concert. Children under 2 are free! Madcap Music-Making: The Story of the Frog Prince – Our warm and fuzzy friends from Madcap Puppets help tell the story of The Frog Prince through the music of Brahms! Don’t miss the “ribbiting” music, storytelling, and fun! Peanut Butter & Jam Sessions brings families together for a musical encounter that provides a friendly, educational, and enjoyable introduction to classical music. Designed for ages two to six, these interactive concerts will touch, teach, and enrich your child’s life. 10am and 11:30am. $5.00 per person or $15.00 for Flex-Book of 4 tickets good at any PB&J concert. Children under 2 are free! Free Graeter’s cookies at every concert! Tickets available at the door, by calling 513.381.6868, or visit www.lintonmusic.org. Cincinnati Soap Box Derby Kids Fun Run April 23, 2016 | 10:00am – 3:00pm Cincinnati Soap Box Derby cincinnati.soapboxderby.org Red Dog Pet Resort & Spa | 5081 Madison Rd, Cincinnati, OH 45227 FREE The Cincinnati Soap Box Derby is hosting a FREE Kids Fun Run on Saturday, April 23 from 10 a.m. to 3 p.m. at the Red Dog Pet Resort & Spa in Madisonville, OH located at 5081 Madison Rd, Cincinnati, OH 45227. Children ages 7 to 20 who are accompanied by a parent or guardian can test drive a Soap Box Derby car. In addition, there will be information on hand to register and participate in this year’s Cincinnati soap box events, as well as other fun, family friendly events. Spots are limited and on a first-come, first-served basis, so registration is required to guarantee a trial time. World Culture Weekend April 23 and 24 1301 Western Ave, Cincinnati, OH 45203 Join us as we celebrate and explore Cincinnati’s rich immigrant history. Enjoy live music, dance and crafts from Cincinnati’s six main immigrant groups: German, Irish, Jewish, African, Appalachian and Hispanic. Get your passport stamped as you navigate the rotunda’s cultural timeline and learn how Cincinnati came to be the city it is today. Stroller Strides Grand Opening April 30, 2016 9:30am-11:30am FIT4MOM Blue Ash/Montgomery Weller Park – 8832 Weller Rd, Montgomery, OH 45249 FREE Please join us for a fun 60-minute workout, raffle and playgroup following class.Stroller Strides is a total fitness program that moms can do with their babies. It includes power walking and intervals of strength and body toning exercises using exercise tubing, the stroller and the environment. Systematic Lighting April 30, 2016 6 pm – 8 pm Neusole Glassworks 11925 Kemper Springs Dr, Cincinnati, OH 45240 FREE Come see, glass artist, Richard Royal do a glassblowing demonstration in our hotshop. His gallery opening for his show, “Systematic Lighting,” will follow. Refreshments will be provided. There is free admission and parking. The doors open at 5:30, but the demonstration will be at 6 pm. Linton Music’s Peanut Butter & Jam Sessions April 30, 2016 (10am & 11:30am) Linton Music www.lintonmusic.org Lakeside Presbyterian Church 2690 Dixie Highway, Lakeside Park, KY 41017 $5.00 per person or $15.00 for Flex-Book of 4 tickets good at any PB&J concert. Children under 2 are free! Madcap Music-Making: The Story of the Frog Prince Our warm and fuzzy friends from Madcap Puppets help tell the story of The Frog Prince through the music of Brahms! Don’t miss the “ribbiting” music, storytelling, and fun! Peanut Butter & Jam Sessions brings families together for a musical encounter that provides a friendly, educational, and enjoyable introduction to classical music. Designed for ages two to six, these interactive concerts will touch, teach, and enrich your child’s life. 10am and 11:30am. $5.00 per person or $15.00 for Flex-Book of 4 tickets good at any PB&J concert. Children under 2 are free! Free Graeter’s cookies at every concert! Tickets available at the door, by calling 513.381.6868, or visit www.lintonmusic.org.